An English Springer Spaniel is a friendly and loyal dog which has been a loyal companion to hunters up and down the land for centuries. As natural hunters, the English Springer Spaniel makes an excellent gundog and they are a worthy adversary to many sorts of prey, including waterfowl, birds and small animals. Before you can get to training your English Springer Spaniel to be a gundog, you need to iron out the basics of dog training. This breed of dog is incredibly smart and they very quickly pick up new tricks and are fast learners. Here are 4 simple tips to help you start training your Springer Spaniel. English Springer Spaniels can be very timid and shy breeds of dog, so you should avoid scalding them and shouting during training. The whole point of training is to encourage positive reinforcement, not to berate your dog for making mistakes, and by losing your temper, you are being anti-productive. Furthermore, shouting and screaming at your dog whilst training can cause them to become suspicious of you and make training harder in the long-term, and have long-term impacts on your relationship. Like we already mentioned, the key to proper dog training is positive reinforcement. Rewards-based training will condition your English Springer Spaniel to associate training with rewards, and will encourage them to do what you want. To best utilize this method of training, come up with a key training word or phrase and associate that with the reward only (say, sit etc). This will demonstrate to your English Springer Spaniel that doing the right thing – i.e. what you are providing training in – will lead to a reward. 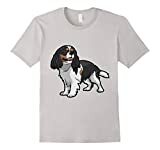 Begin training with short, simple commands alongside the rewards-based system so you can i) teach the basics and; ii) get your English Springer Spaniel used to the training regime. If you need to express your unhappiness or discontent, use firm, sharp and calm words such as “No!” or “Bad!” – this gets your point across without getting aggressive or punishing the dog. As soon as your English Springer Spaniel starts playing ball again, immediately reward them. The positive reinforcement process is quite long-winded and you need to use it wherever possible to encourage the best results. You should begin training your English Springer Spaniel whilst the dog is a young pup. Why? Because at this age, the dog is more open to being trained and will find it easier to pick up what you are teaching. Also, at their young age, the English Springer Spaniel has plenty of stamina and energy which can be dedicated to the training process. 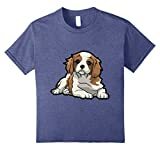 Plus, by beginning training as a pup, your English Springer Spaniel will develop its good behaviors alongside its physical growth and it will carry over into adulthood. Training English Springer Spaniels the basics is much the same as any other breed of dog, and you should get these squared away before you attempt to train your English Springer Spaniel any advanced things, such as hunting and tracking.